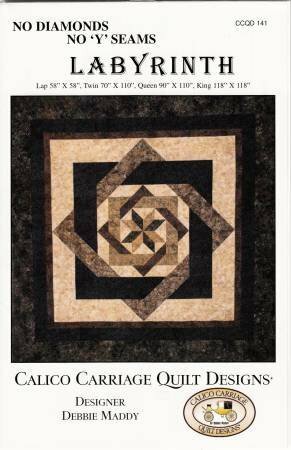 This quilt is made with half square triangle units and back- ground squares. No Diamonds and No "Y" Seams makes Labyrinth is a very easy fun quilt to make. You will want to make all four sizes from lap to king. Finished sizes Lap 58in x 58in, Twin 70in x 110in, Queen 90in x 110in, King 118in x 118in.